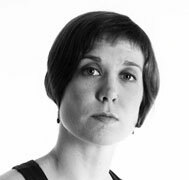 Althea Skinner is a company member of Rebollar Dance, currently living in Brazil. She was integral to the creation of the full-length work, Sacred Profane, between January 2014 and its premiere in October 2015. While in DC, she also premiered in solos by Deb Riley and Vladamir Angelov, and in Roxie Doniphan Thomas’ Unhinged at the Kennedy Center’s Millenium Stage. She has performed as a guest artist with DancEthos and the Eureka! Dance Festival. Althea began studying ballet at age three in Buffalo, NY and later in Columbia, MO. She transitioned toward modern dance in Houston, TX, where she performed with Rice Dance Theater, the Michele Brangwen Dance Ensemble, the Sandra Organ Dance Company and Chrysalis Dance. Althea now lives in Braislia, Brazil where she works for the World Wildlife Fund. She continues to dance and serves as the International Consortium for Advancement in Choreography’s (ICONs) Representative in Brazil.